WATCH: AMEN! NOW PASS THE BOOZE! THEY HAVE no problem spending a lot of time in church to show their love of the Lord. Their devotion starts at 11am and they don’t finish until 3pm – but they don’t mind going on even longer. BUT THEN, IT’S NOT CALLED THE GABOLA CHURCH FOR NOTHING. Gabola is the Tswana word for drinking, and in this holy church of the Lord, the congregation rocks up at a tavern. With cold beers going down, loud cries of “Amen!” can be heard booming from Freddy’s Tavern in Orange Farm, south of Joburg. 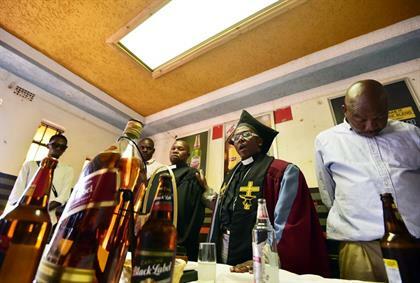 Members are baptised with their choice of alcohol. Gabola Church congregants drink together during the church services. Bishop Tsietsi Makiti (52) is the founder of the church in South Africa. 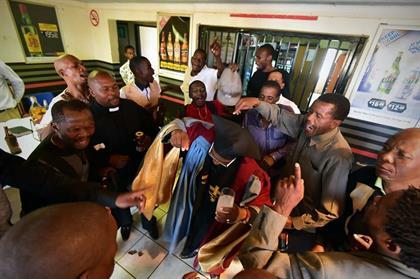 He started the church in a tavern, and it now has five hundred members. The church accommodates people who are not welcome at other churches. 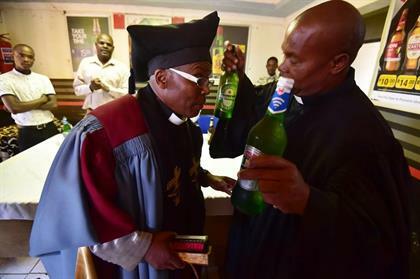 When Daily Sun visited the church, the bishop was quenching his thirst with his drink and praying with members who were also drinking. Makiti said when Jesus came to his followers, alcohol changed everything. 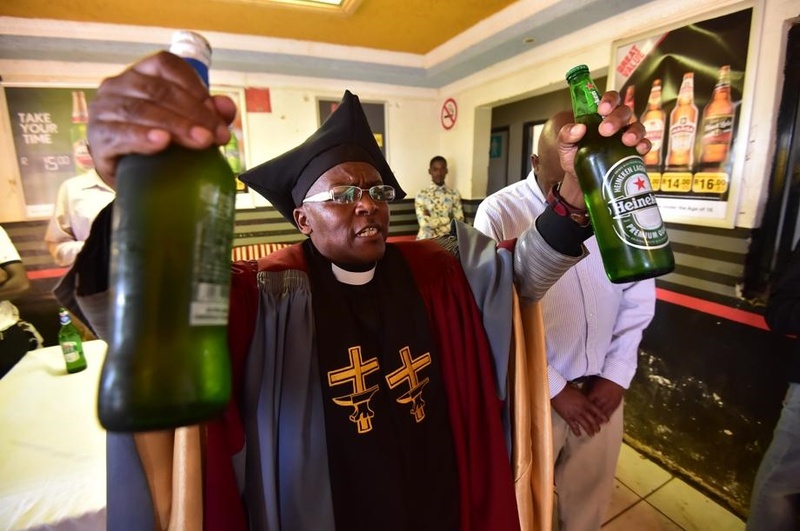 According to the bishop, people didn’t know what to do for fun, but when Jesus changed water into wine he prayed for it to stimulate their bodies. “So this church also prays for their drinks before they are served. “With God in our taverns we would see crime being reduced and love and respect promoted,” he said. 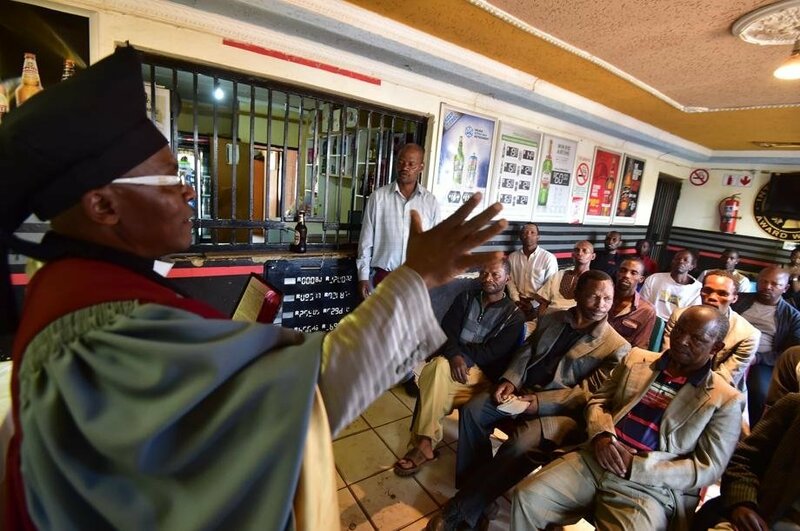 The owner of the tavern, Freddy Mathebula (53) said the church accommodated the rejects of communities. 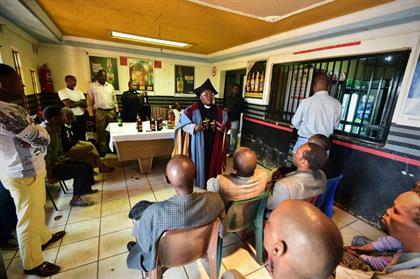 Makiti says he wants to expand his preaching to other taverns and start more churches. 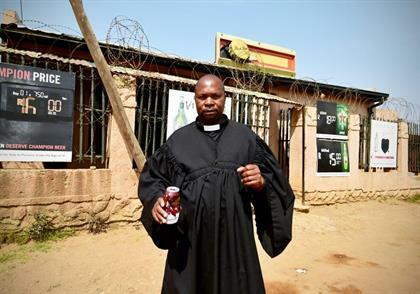 Jeffrey Mokoena (52) belongs to the Gabola church. 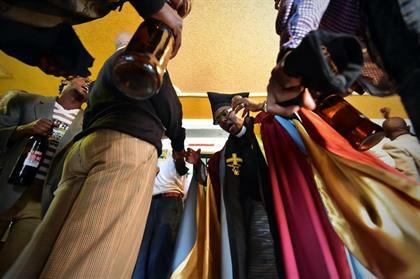 Michael Motsepe (29) said: “As a young person who likes his beer I feel uncomfortable in other churches. 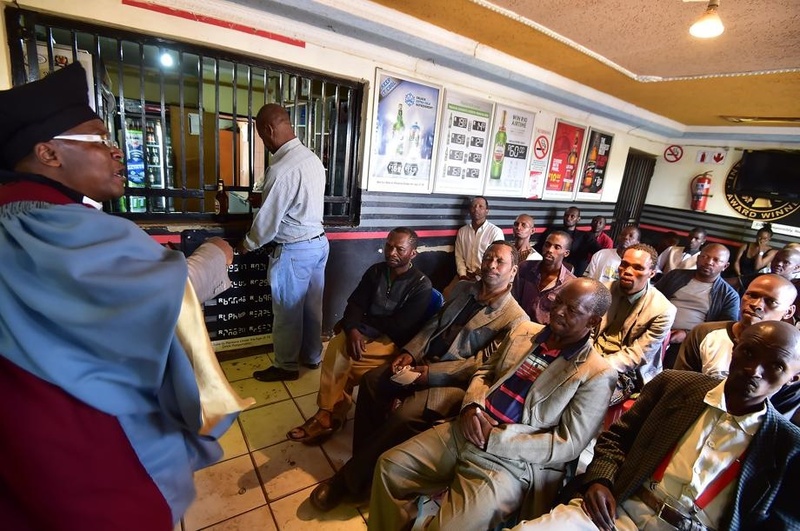 Thoko Mkhwanazi-Xaluva, chairwoman of the Commission for the Promotion and Protection of Rights, said the good thing about the initiative is that God is everywhere. “People can be converted anywhere.